Clothbound, 9.75 x 11.5 in. / 238 pgs / 110 color / 65 bw. 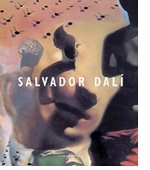 Salvador Dalí was one of the most famous--and one of the most notorious--artists of the twentieth century, recognized as much in the popular imagination for his flamboyant personal style and his penchant for showmanship as for his groundbreaking artworks in many media. 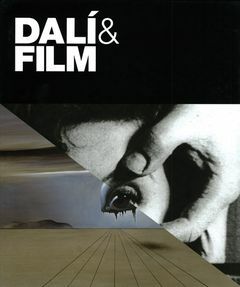 Dalí & Film investigates, for the first time in depth, the part played by film as a key influence on Dalí's art, as well as his extensive involvement in film-based projects. This illuminating volume presents both the major paintings that reflect the artist's famous preoccupation with film and materials related to the key film projects on which he worked. Throughout his long career, cinema contributed to Dalí's understanding of both the power and the uses of illusion. In 1929 and 1930 he collaborated with the influential Spanish Surrealist filmmaker Luis Buñuel on the startling and highly controversial films Un Chien andalou and l'Age d'or. Many years later, Dalí worked with the Disney studios in Hollywood and with Alfred Hitchcock, devising a dream sequence for the psychological thriller Spellbound that remains one of the most innovative in cinema. Over the intervening years, Dalí came to reject what he saw as the elitism of Modernist film, and embraced instead the popularity of mainstream cinema, recognizing its potential to bring his work to a vast audience. Extensively illustrated with reproductions of paintings, film stills, storyboards and photographs of the artist with figures ranging from studio bosses to the Marx Brothers, Dalí & Film reveals the depth and persistence of Dalí's fascination with the medium, bringing a new dimension to our understanding of one of the great masters of twentieth-century art. FORMAT: Clothbound, 9.75 x 11.5 in. / 238 pgs / 110 color / 65 b&w.